Inon Zur had a large number of source sounds at his disposal. These included sounds he had recorded over the years as part of several session recordings, along with some that he had tried to design himself. He has looking for a way to organize and make use of these sounds in a straightforward manner within his music. Inon Zur gave us his library of sounds and we had a team of sound designers work on them by developing them into a diverse set of motors, tickers and patterns that could be used together effectively. 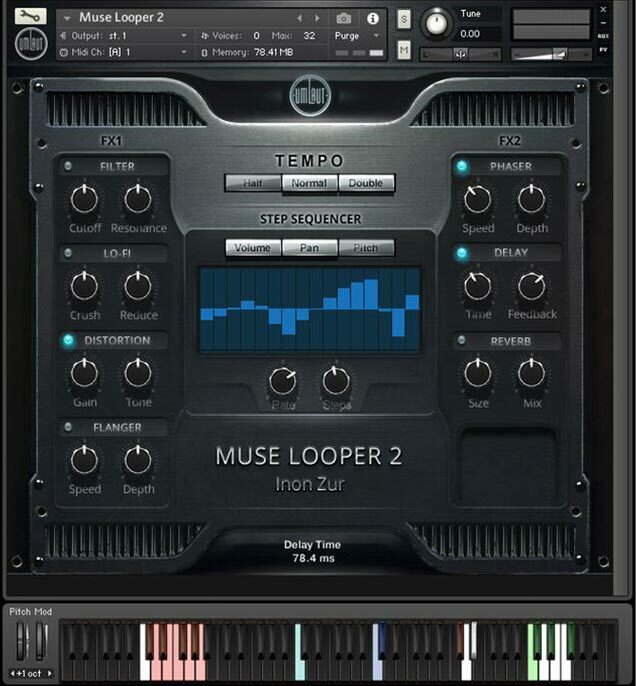 We also created a looper instrument that would be able to house the sounds and provide the essential set of FX and step sequencing abilities to transform the set of sounds. ‍Denoising, time correcting, pitch correcting, dynamics correcting of all samples. Creating sustained pads out of samples.